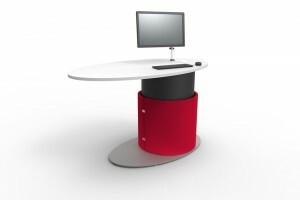 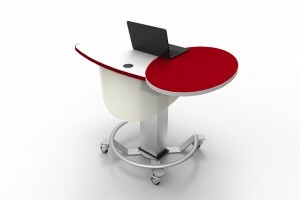 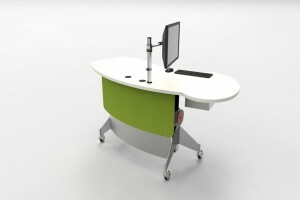 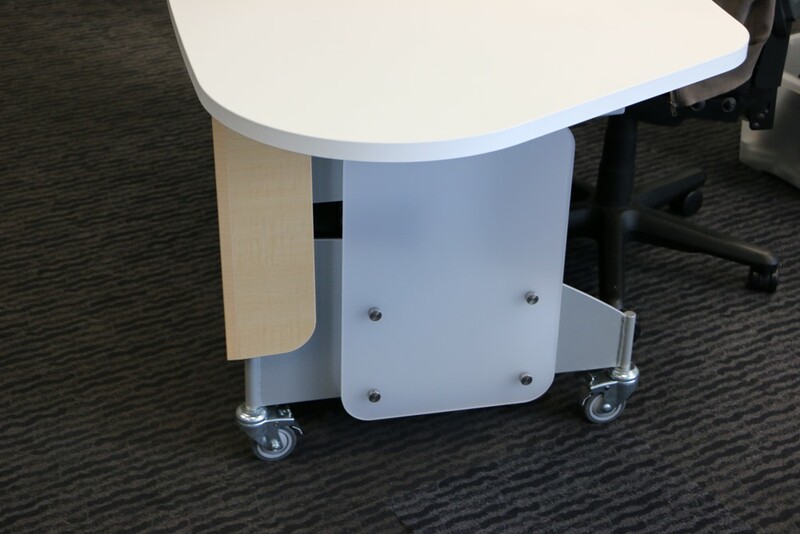 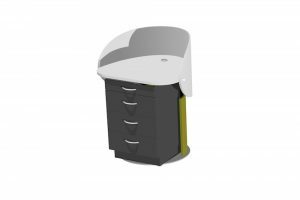 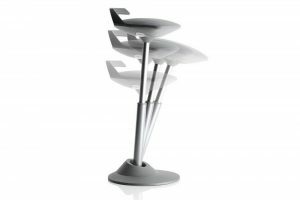 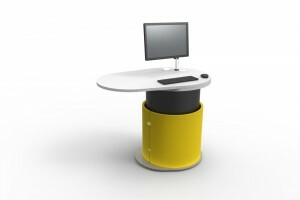 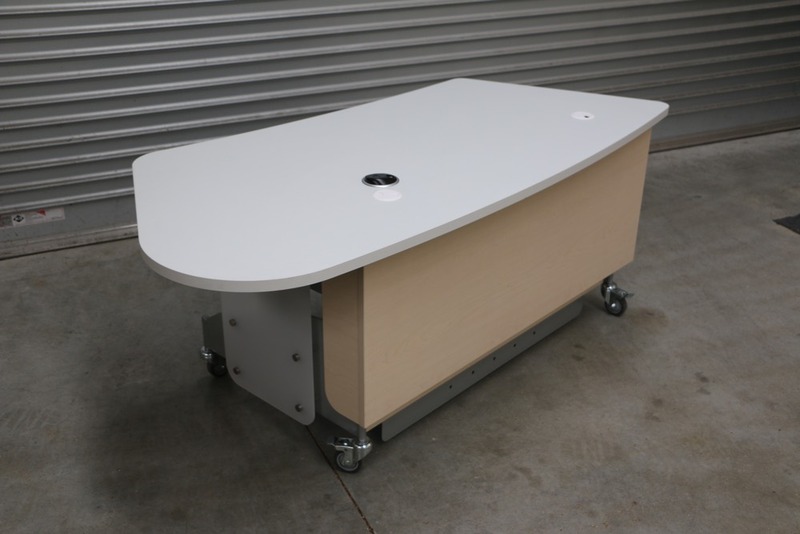 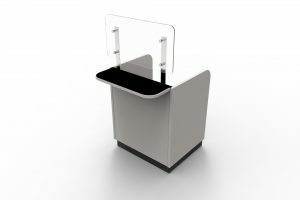 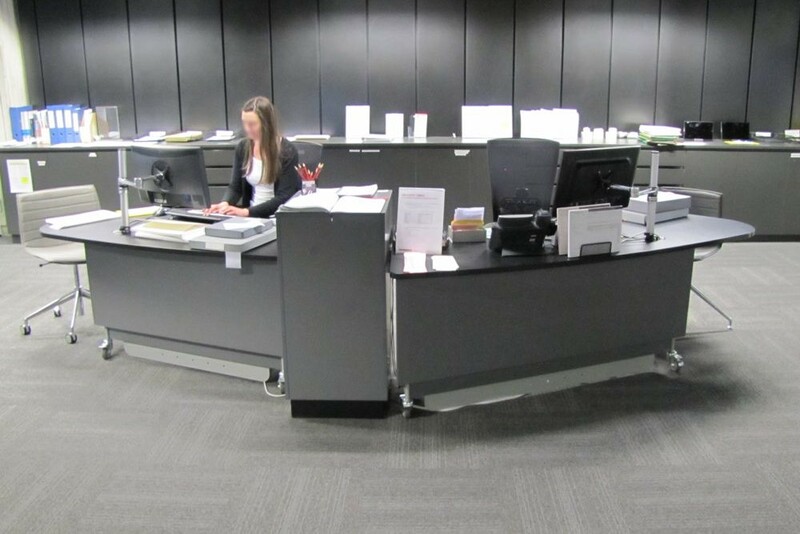 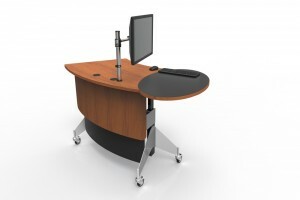 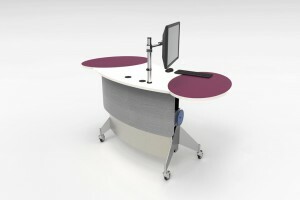 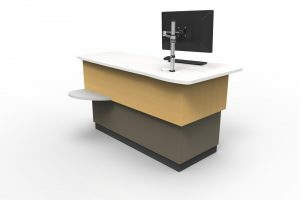 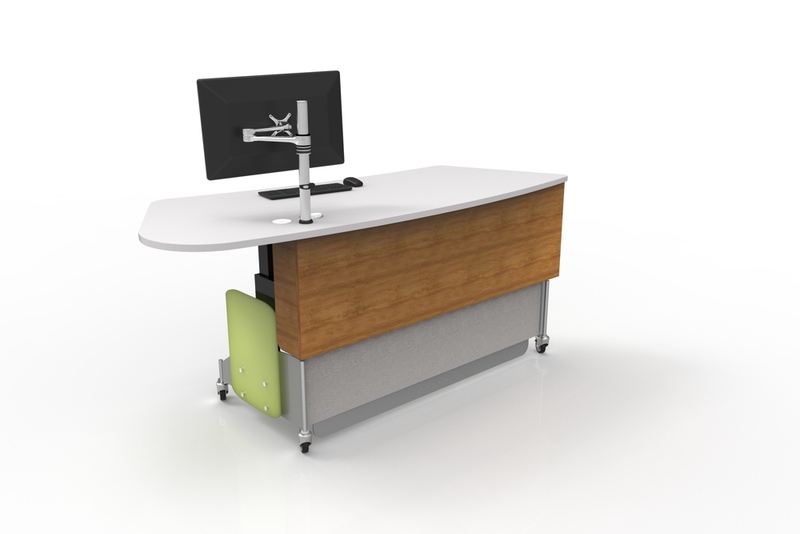 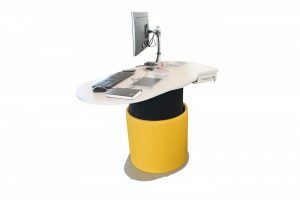 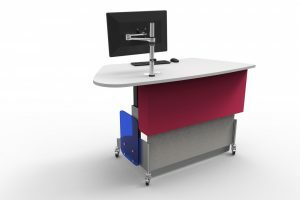 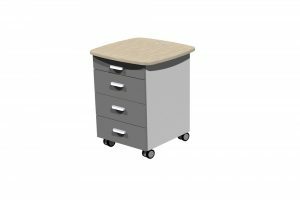 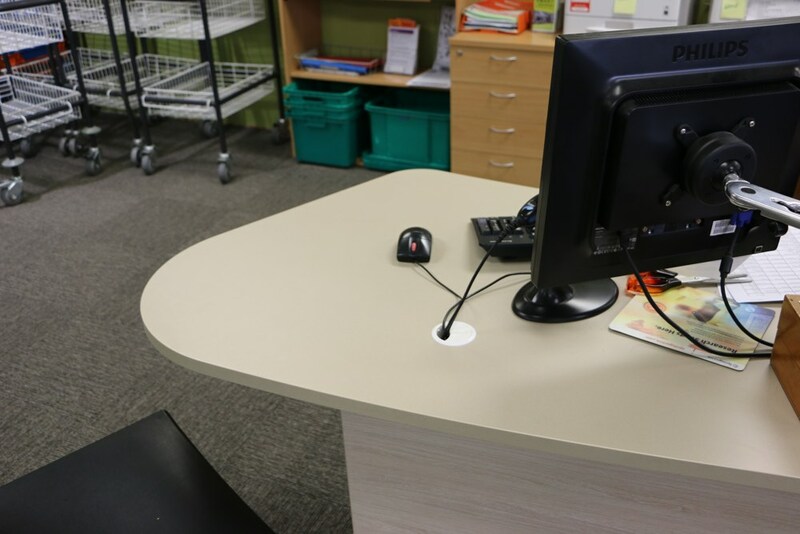 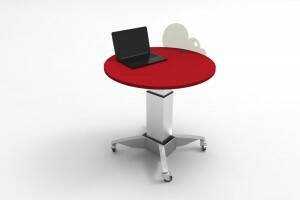 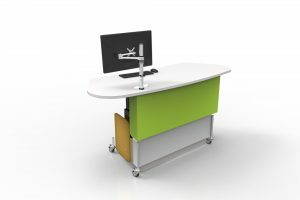 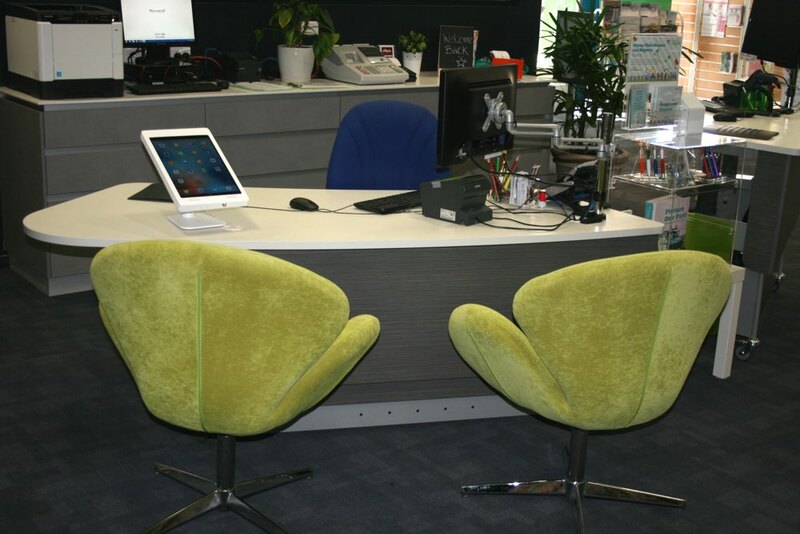 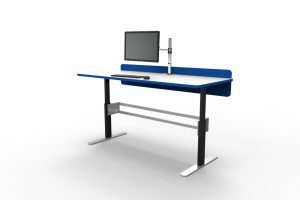 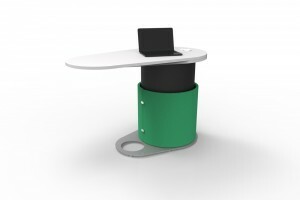 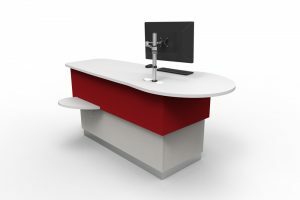 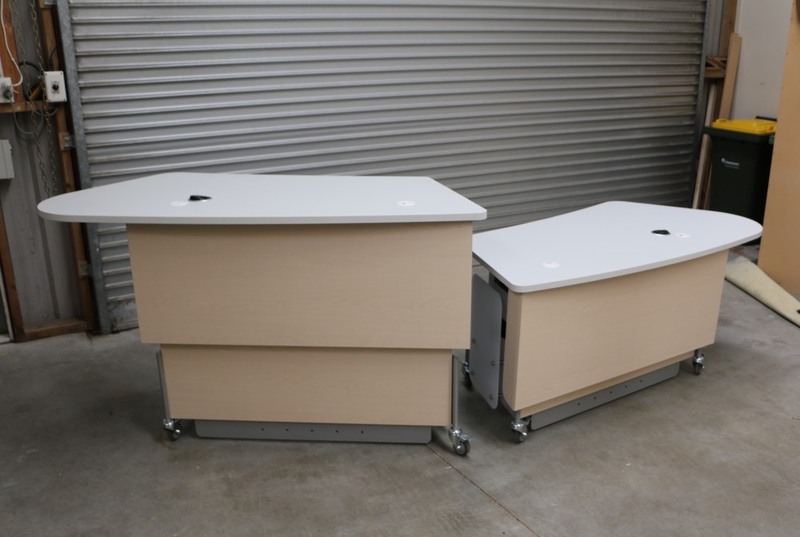 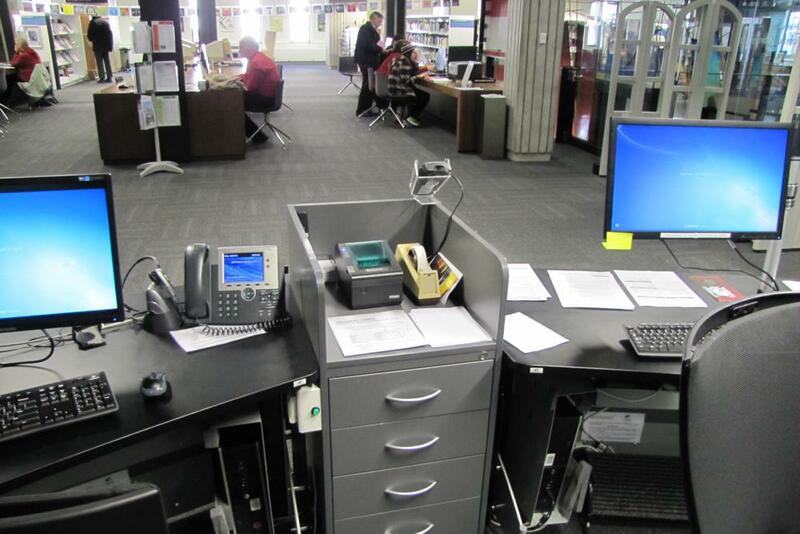 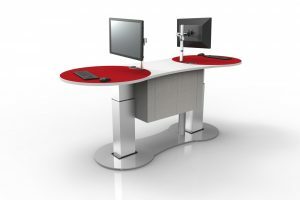 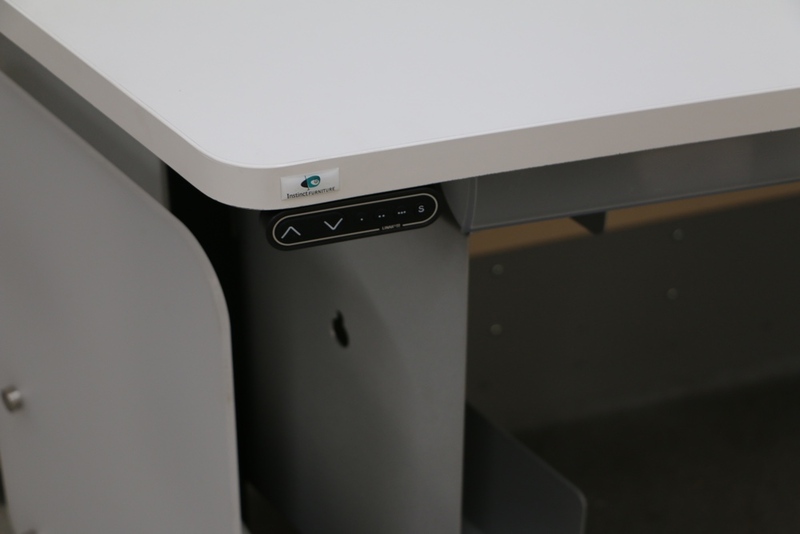 A modern, height adjustable issues / help desk, featuring a subtly curved meeting end. 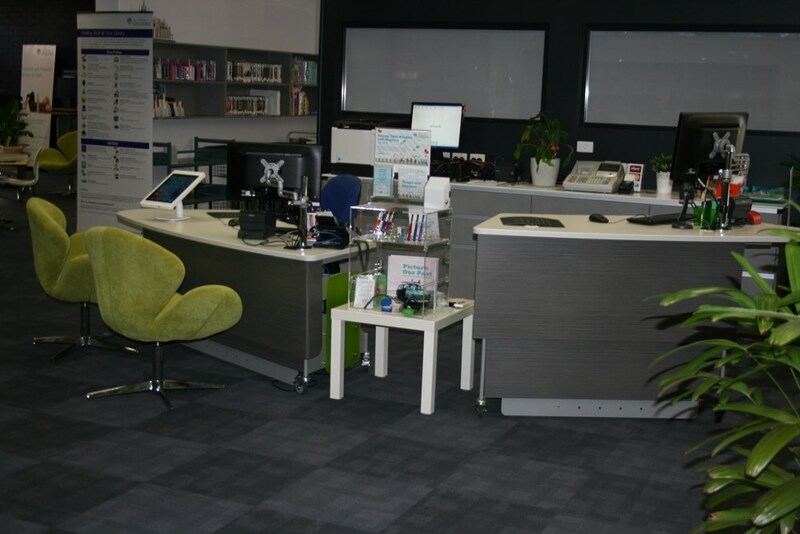 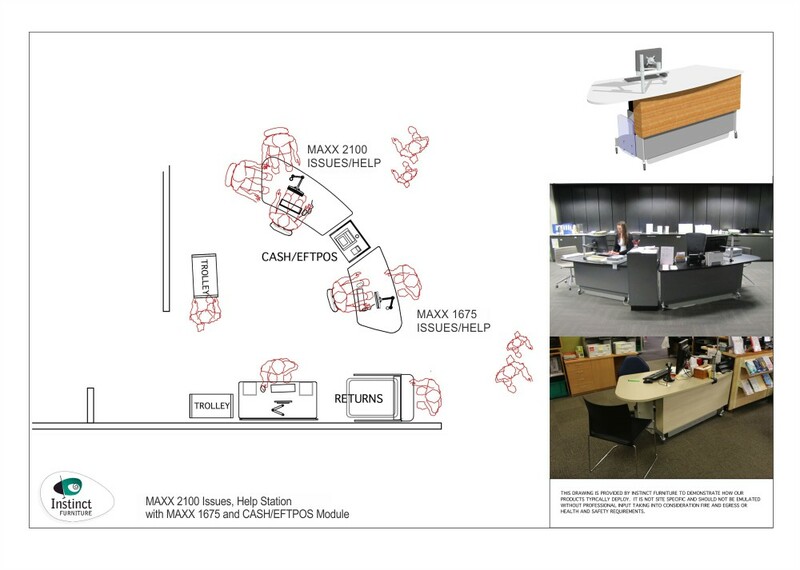 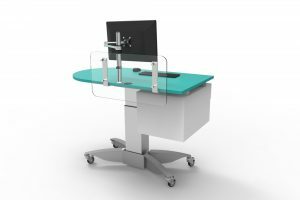 MAXX is a concise yet flexible option, allowing you to coordinate your circulation area and desktop space with other members of our MAXX family. 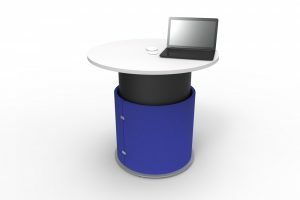 A subtly curved meeting end encourages a friendly exchange (either left or right orientation). 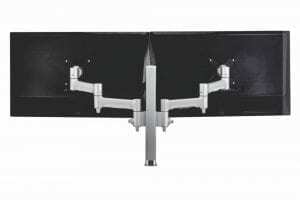 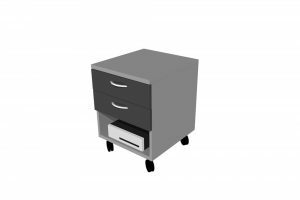 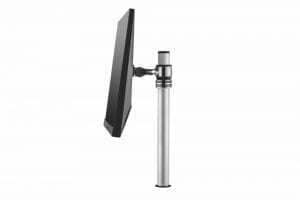 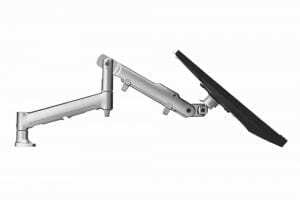 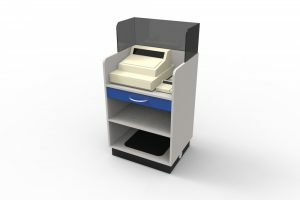 A closed end for positioning neatly together with a storage unit or our Cash/Eftpos Module. 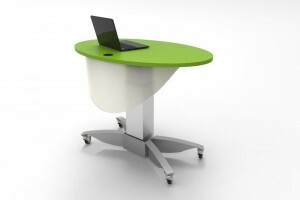 A frosted acrylic privacy screen positioned at each end. 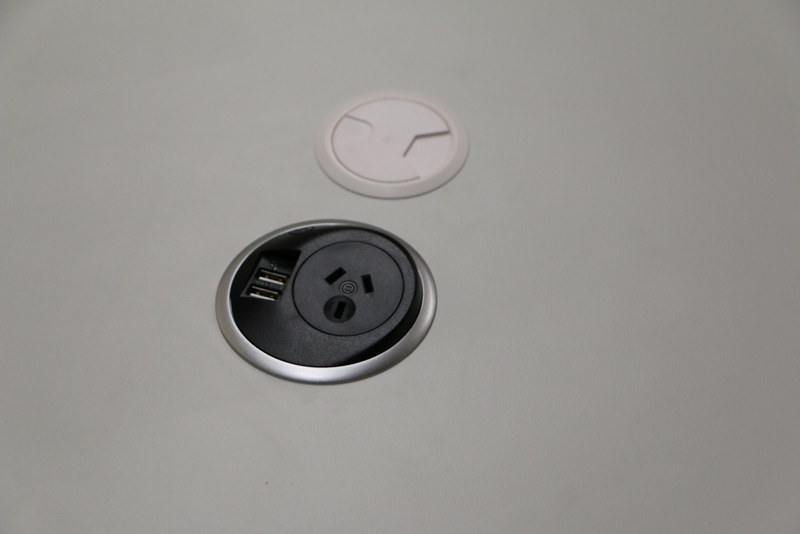 Mount our PIXEL Power Button for power and USB outlets. 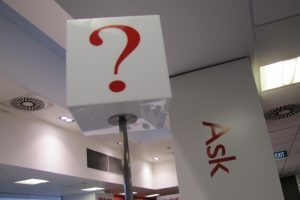 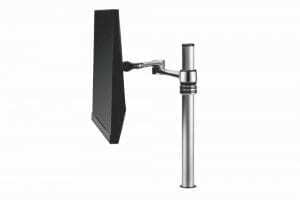 Make your help stations easy to find with our SIGN Pole option.